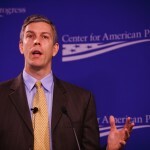 U.S. Secretary of Education Arne Duncan testifies before Congress. 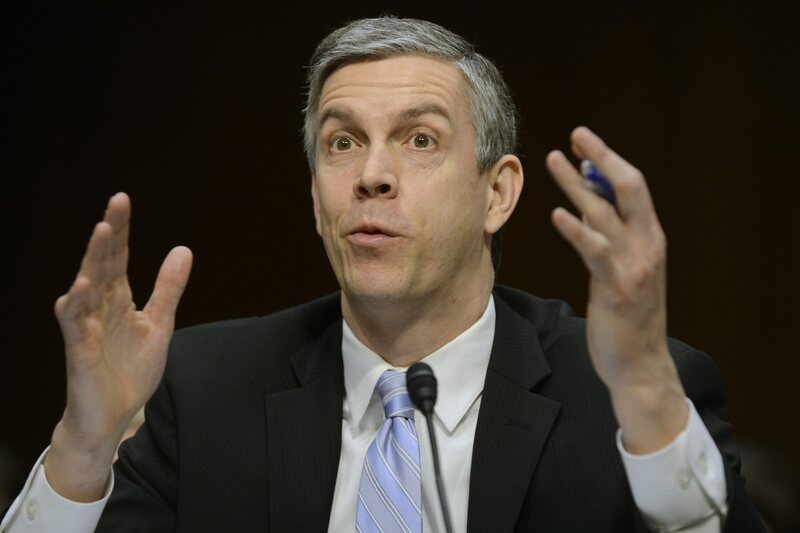 Online standardized tests are here to stay, U.S. Secretary of Education Arne Duncan said Thursday, but “there will be bumps, there will be hurdles, there will be mistakes” like the statewide failures of online ISTEP+ exams on Monday and Tuesday. We should have competition. We should be transparent — I don’t know who that company is, I don’t want to pre-judge — but if that company can’t deliver, there’s an opportuntiy for someone else to come in and do something very, very different… We should not have one problem and then say we should go all the way back to pencil and paper, that doesn’t make sense to me. We’ll get better and better. I do think, directionally, this is the right way to go. We have multiple players playing in these space… Let’s see who’s for real. But again, directionally, having computer-adaptive tests, having the ability to evaluate way more than just fill-in-the-bubble stuff — the critical thinking skills — directionally, it’s the right way to go. There will be bumps, there will be mistakes. The big thing is, ‘What can we learn with them?’ What was wrong with the contract? What was wrong— how do we not replicate this someplace else? With all this stuff, we’re moving the country in this direction, so for me, that’s not just an Indiana challenge. In a statement released late Thursday, Indiana Department of Education officials said schools should continue reducing their online ISTEP+ testing loads on Friday. 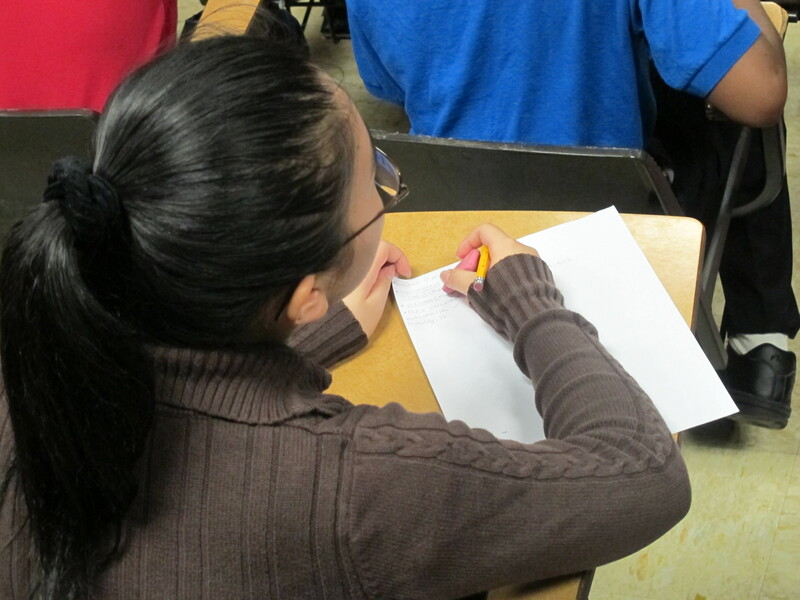 State officials say schools can go back to testing full loads on Monday. The IDOE has also extended the online testing window (again) by two days. The testing window now closes on May 17. Don’t forget to take a look at the contract the state signed with CTB/McGraw Hill. Here’s the latest public statement from the company.